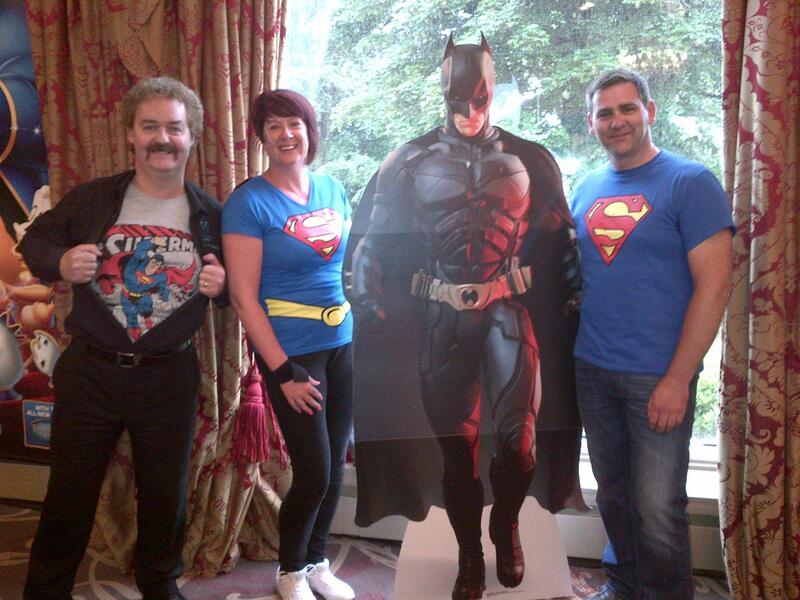 It was that time again for the annual Dril-Quip Corporate Family Fun Day at Ardoe House Hotel, in the now usual form it was raining... AGAIN! The rain however never stopped everyone's good spirits and we had lots of children and adults dressing for this years theme Heroes and Villains. Denver the Dog and Superman was at the entrance welcoming everyone in with some fantastic Hi-5's, and great photograph welcome photographs. All of theCorporate Family Fun Day activities were open and ready for the excited guests. There were lots of activities to choose from including our brand new Corporate Family Fun Day activity Lazertag, Laser Clay Pigeon Shooting, 3 Lane Bungee Run, Archery and many more. Once everyone had eaten the lovely barbeque food, they were fuelled up then it was go go go. Elaine had a lovely hamper to give out, so it was outside to the Laser Clay Pigeon Shooting for the first of our Corporate Family Fun Day competitions. It was a tough competition, and even though it was raining we were still able to get a fair amount of competitors. With Ross and Willie trying exceptionally hard to win it looked like it could of been them, however the winner was young Kyle, he took away the Luxury hamper and the Team Challenge Company Trophy. 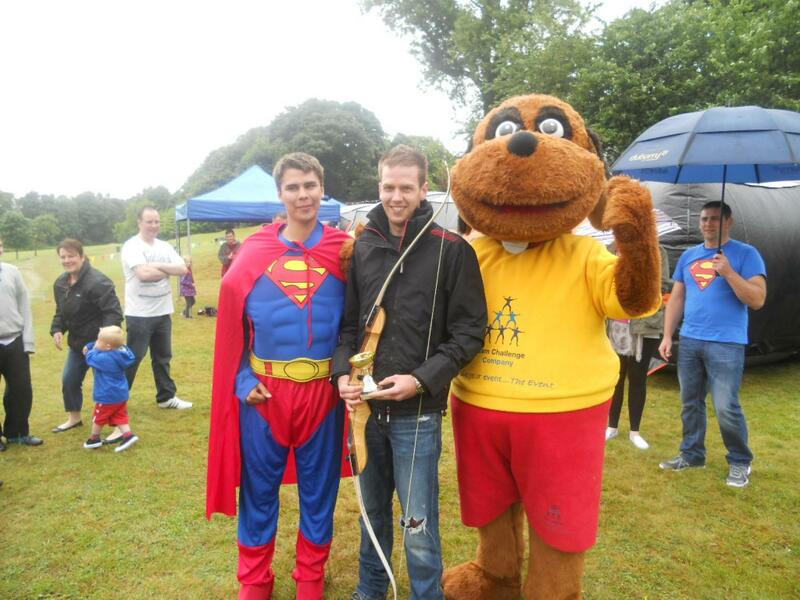 Next it was across to the Archery for the second Corporate Family Fun Day competition, we had Denver, Superman and a lot of other soggy spectators. It was a fun knockout, and in the final we had Rebecca and Ross, with Ross finally winning a challenge, and took away the much coveted Team Challenge Company trophy. 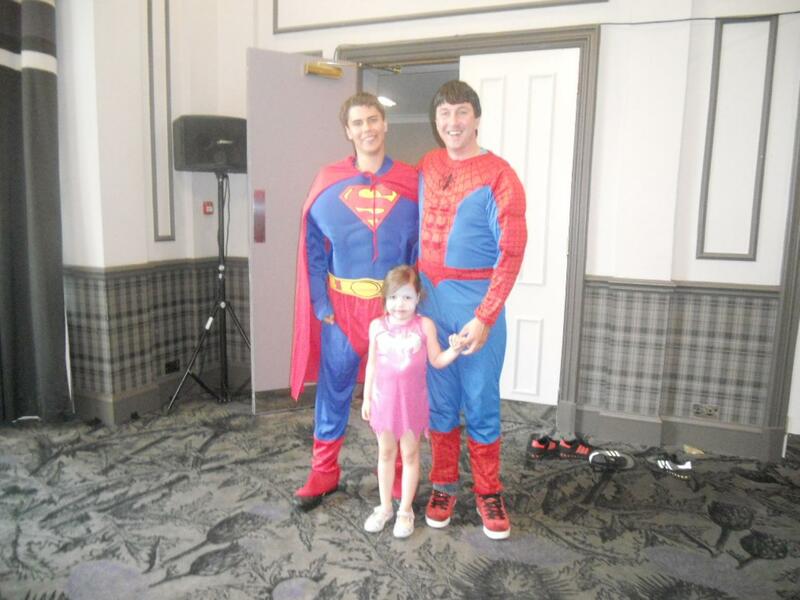 It was back inside for some more competitions including a fancy dress parade led by Superman. Everyone looked great so they all got special prizes. Musical statues and the Cha Cha Slide had everyone up and dancing with Denver. After the final competitions, it was time for everyone to have some more time on the indoor inflatables and outdoor Country Pursuit Activities. As well as stocking up on some more Candy Floss and Popcorn. It was then time for everyone to sadly leave, the goody bags were handed out and everyone headed home (as the rain finally stopped). It was a great day all round and everyone had a great day despite the weather. A massive thank you to Elaine for organising the Corporate Family Fun Dayagain, your hard work and dedication definitely pays off. We all look forward to next year... hopefully it will be fourth time dry! "Another fantastic day with Team Challenge. Yet again you overcame the horrendous weather and ensured everyone who attended had an amazing time. I really appreciate the effort and hardwork you guys put in to our BBQ each and every year. Bring on Dril-Quips Family Day 2014 :o). 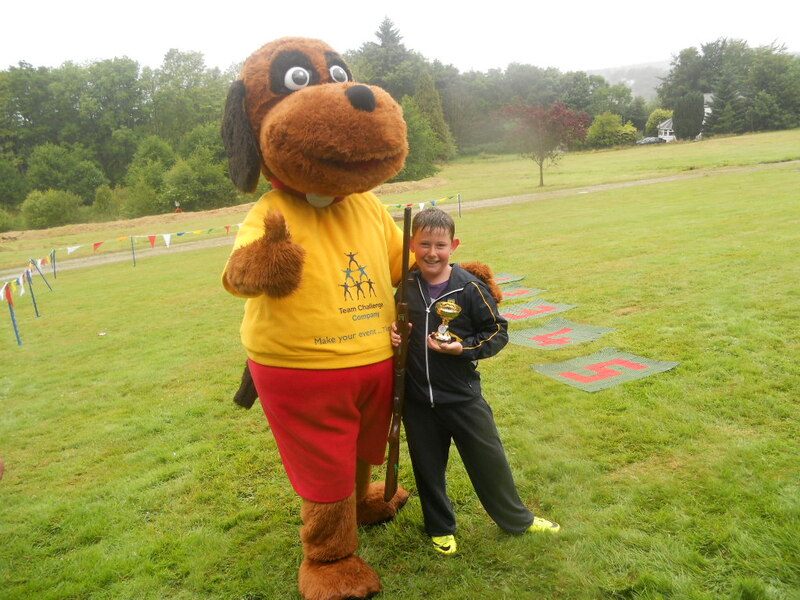 Elaine"
"What a fantastic day at Ardoe house Hotel with the team and families at Dril Quip - despite the weather everyone had a great time, and it was good that we had people brave the weather and come outside to take part or spectate to competitions. Looking forward to next year already Elaine, was lovely to meet you properly. Beth"